On through the night of all hallows eve, you walk through the dark woods. In the distance you hear a great cackling and crackling. From the corner of the clearing you see a wicked witch tending to her cauldron. Potions bubble in the dark of night, lit only by the light of the moon and the fire below. The fire dances flames of orange and purple. Suddenly she turns and stares into the darkness…. Have you been spotted? After several ambitious projects, this fast and fun little shaker card was easy and quick to put together. While black would have been an easy choice for the front, I wanted to add some variety to my craft projects this Halloween season and went with this dark purple. 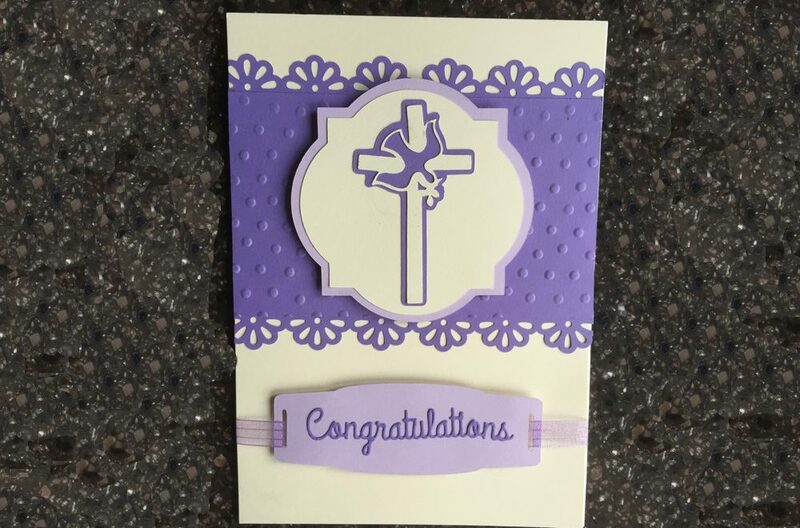 I have several dark purples to pick from in my paper collection and this shade is Grape Slushie from Paper Accents. Not surprisingly, since it’s featured in many fall projects, the orange came from the Farmers Market paper collection from Recollections. I love to create 3D creations and have found many fun projects by the creators at Dreaming Tree. Like me, they love Halloween too and introduce several Halloween creations each year. This witch .svg file that I used was a freebie that I picked up when I was on their site to buy their amazing Midnight Manor. I love the detail and creativity of their projects and have loads of fun putting them together. 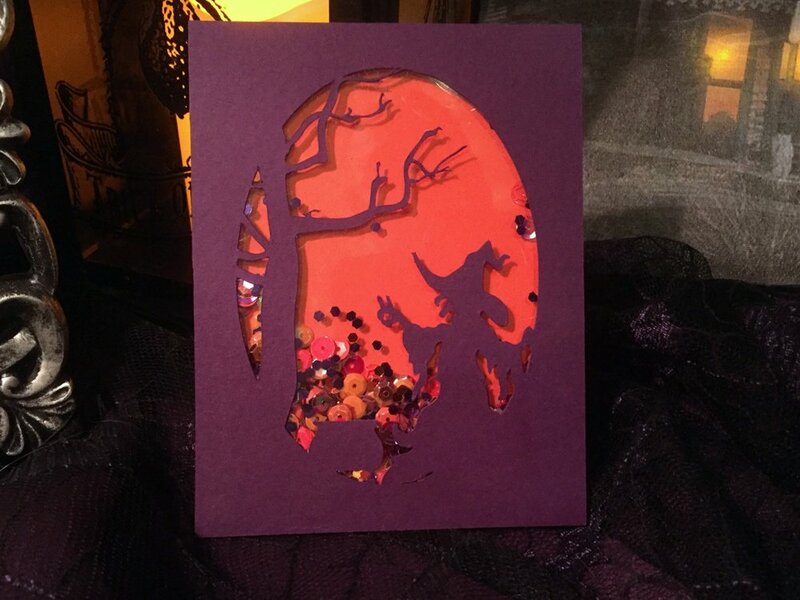 To create the card front, I pieced the witch together with a cauldron I found in the Silhouette Design Store, as well as a spooky tree that I found there as well. I plan to release a video of the screen capture I did showing how I pieced it all together and will link that below when it posts. 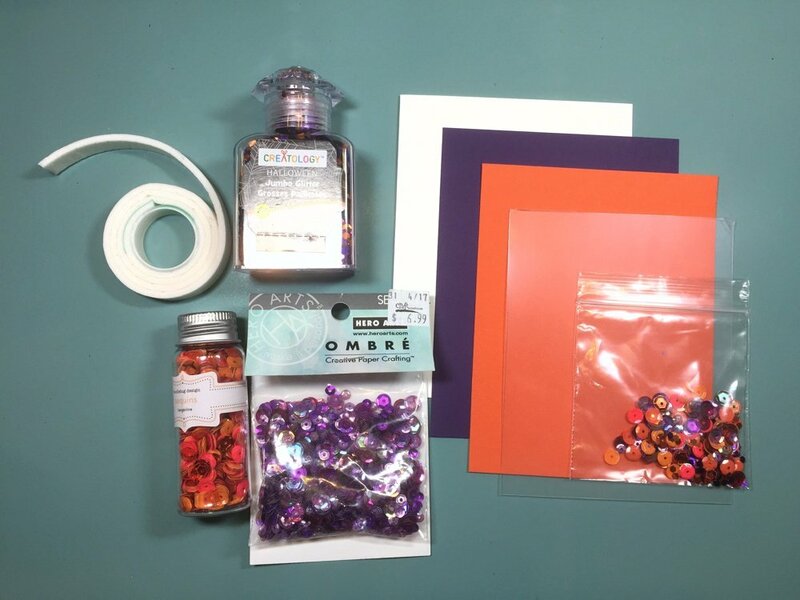 Below are links to the supplies I’ve used for today’s project. Compensated affiliate links may used, which means if you make a purchase I receive a small commission at no extra cost to you. I truly appreciate your support toward the costs of running this blog! This post includes one or more affiliate links. This means I receive a small percentage when purchases are made using links on my blog. This is at no additional cost to you, but the percentage I receive helps defray the costs of all the supplies that I use, plus website maintenance. This project is the fifth installment in my Spooky Halloween 2017 series. Check back this week for more spooky goodness! Visit our series page for all the posts in this year’s Halloween series. Thanks for visiting. Subscribe now to be updated as more projects get posted.